Have you been toying with the idea of writing a blog or articles and experiencing some trepidation? Or, perhaps you are already an author and want to elevate your performance levels. Constructing your articles and blogs to appeal to the diverse ways your readers’ brains are wired will give you the “razors edge.” The following practical neuroscience principles and methods help you get started on your authorship pathway, improve your communication skills, and attract more followers. This applies regardless of whether you are a beginner or a seasoned professional. Passion about your subject matter keeps you motivated, focused and engaged. Your brain likes to receive rewards and benefits from what it engages in. Establish the benefits from authorship for you and your audience. The desire to share and expand your knowledge, coupled with helping others improve their quality-of-life, is the best scenario for all parties. Commitment to quality authorship is a two-sided coin; as you learn and grow, your readers benefit as well. Am I focusing on the reader’s needs or mine? Would I want to read this article? Are there helpful application ideas and actions steps for my reader? Approximately 57% of your audience has Kinesthetic as their primary sensory preference; they are into “doing” and typically have short attention spans for sitting and reading long articles. Visual learners constitute 34% of people; they pay attention to graphics, layout, and how things look. The remaining 9% are Auditory learners; they process the meaning of words and play them back internally to make sense of them. The other half of the learning equation is how people prefer to process and think about sensory input. Approximately 60% of the population leans towards Sequential thinking; they are attracted to logic, order, organization, realism, practicality and content. Global thinkers make up the remaining 40% of your audience; they are imaginative and like to jump around looking for patterns, ideas and possibilities. Given your audience’s diverse preferences for receiving and processing information, the following practical neuroscience techniques will help you write more appealing and effective articles. Use graphic images: The images should pertain to the subject matter and be colorful and interesting. This will appeal to nearly everyone, particularly Visual learners. Keep your article in the 400 – 800 word range: Short articles help you focus on key points; they are quicker to read, especially for Kinesthetic learners. Have someone edit your articles: Editing acts as a quality control check on readability, layout and grammar. This improves your credibility with Auditory/Visual learners and Sequential thinkers. Use Key Points with minimal text: Bold key points will appeal to nearly everyone, providing context, order and content. This approach appeals to Kinesthetic learners interested in spending a minimum of time reading; Visual learners scan for what appeals to them; Auditory learners glean meaning from the key words and related text; Global thinkers get the “big picture;” and the Sequential thinkers will look for the facts and logic behind the key words. Do you write business communications and/or blog? Do you want to improve your communication skills, including face-to-face interactions? 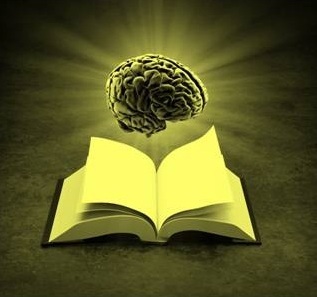 How your brain is wired strongly influences the way you prefer to use language and deliver your messages. Your Brain PathWays report accurately measures how your brain is wired to learn, think and communicate; worldwide statistics of sensory and cognitive preferences give you the scientific data you need to align your messages with your audience. 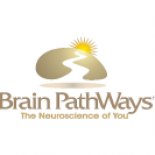 Click to purchase your Brain PathWays online self-assessment and download your report today. This entry was posted on September 28, 2012 by brainpathways in Uncategorized and tagged Audience, Auditory learning, Author, blogging, communication, kinesthetic, Kinesthetic learning, learning style, neuroscience, Practical Neuroscience, Visual learning, writing.